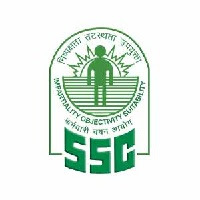 Staff Selection Commission (SSC) has published Advertisement for Jr. Hindi Translator, Jr. Translator, Sr. Hindi Translator & Hindi Pradhyapak Posts 2018. Other details are given below. Age Limit: Not more than 30 years as on 01.01.2019. Rs. 100/-. Fee can be paid through SBI Challan/ SBI Net Banking or by using Visa, Mastercard, Maestro, RuPay Credit or Debit card. Women candidates and candidates belonging to Scheduled Caste (SC), Scheduled Tribe (ST), Persons with disability (PwD) and Ex-servicemen (ESM) eligible for reservation are exempted from payment of fee. Selection Process: Will be selected based on written exam.